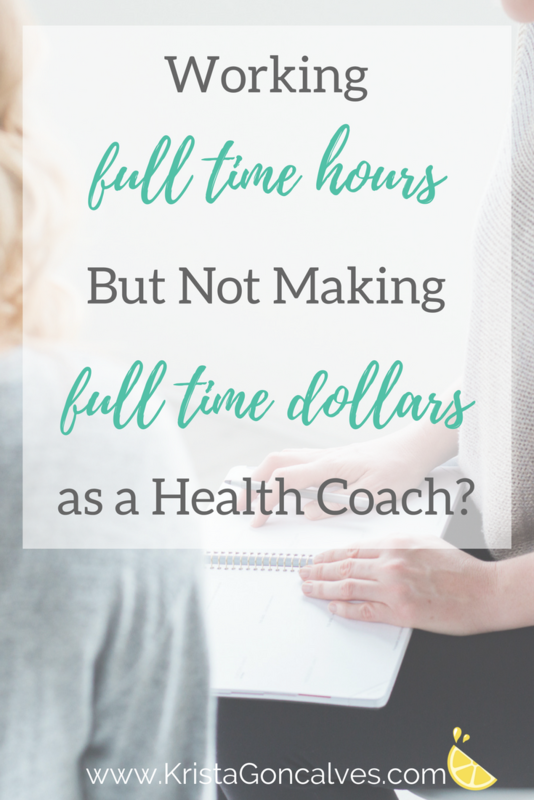 Working Full Time But Not Making Money As A Health Coach? Working Full Time Hours, But Not Making Full Time Dollars in Your Online Wellness Business? You worked really hard to earn your certification, passed your courses with flying colours, and now you’re officially a Health Expert! You may even have a shiny new logo, a pretty website up and running, and perhaps even a few clients. But, you’re not “booked out”. There’s no one beating down your virtual door, and the worst part is that you don’t have steady income. You might be working another job just to stay afloat while you get this “health coaching thing” going. No, you don’t need to go and get yet another certification or take more courses to acquire more letters after your name. You probably know enough already – so, don’t let these kind of limiting beliefs steer you in the wrong direction! 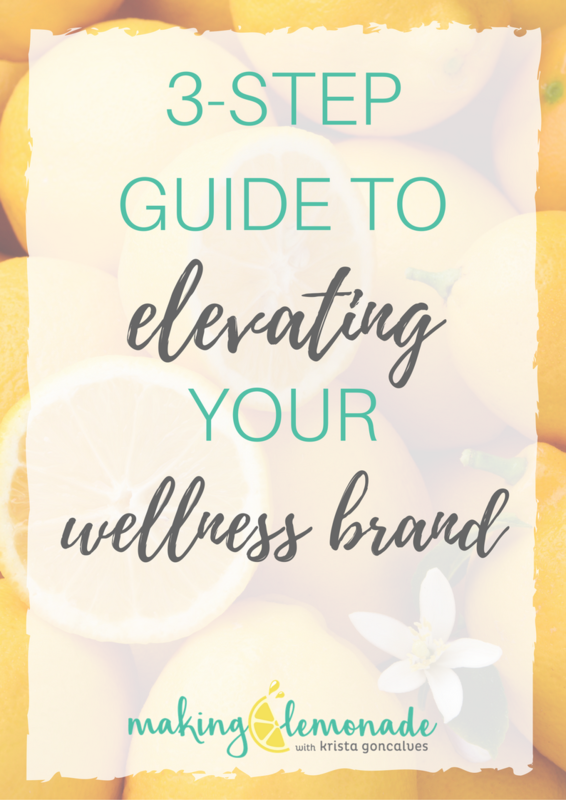 You just need to adapt that fabulous knowledge and newfound drive into the business and marketing side of being a Health Coach. That’s where the importance of stepping up to the plate as a real “healthpreneur” comes in. Everyone has to start somewhere, and when you’re just getting the ball rolling, pretty much every action you take is progress because you’re in the “building a foundation” phase of your business — and this may not translate into dollars right away. But, by the time you’ve created a solid foundation in the first year or two, and have put in the time and energy to consistently show up in your business, including a marketing plan – then you will start to see profitability take shape. However, let me break that all down a bit more more because there isn’t just one ingredient missing in this vegan gluten-free cake! The top 5 reasons why you don’t have a profitable Health Coaching & Online Wellness Business – yet! As a Health & Wellness Coach, you’ve probably realized by now that you’re not going to make the kind of money you’ve always dreamed of just by simply acquiring clients and doing 1-on-1 consultations. Trust me, my nutritional consulting practice was based solely on this model for many years, and the math never added up! Even if you practice 100% offline, you still need to have part of your business online, and be using multiple modes of income. Just being a rockstar Health Coach (which you are, of course!) is simply not enough to bring in rockstar-level dollars. I don’t mean to burst any day dreams you may have had about how profitable your health coaching business was going to be when you were doing your coaching courses, but reality check time — multiple income streams aren’t just a nice option, they’re necessary. For example, when I was consulting for nutrition, and after learning the hard way for the first few years, I stopped relying on my 1-on-1 client work. I eventually added in workshops (some free, some paid), as well as created a women’s hormone health group program – that I collaborated with a Naturopath on. This was a game changer for my physical practice. Also, when choosing which avenues you’re going to use to branch out your business, don’t just choose things that you think you should be doing, because it seems like “everyone is doing it”. Essential oil lovers, I’m glancing in your aromatic direction! 2 | You’re not creating alliances with other key people in your industry – love thy competitor! Well, you can apply the same adage to a Health & Wellness Coaching type of business. And please be reminded, this IS what you’re doing — building and running a business. In my experience, it’s much easier, not to mention, a smarter business strategy, to align with other people in your industry who you may have previously thought were your competitors. There’s no better demonstration of this concept in the kickass article “9 Influential Women Every Wellness Expert Should Follow“. BUT, HOW CAN THIS TACTIC ACTUALLY GENERATE MORE INCOME? Think about it: you have a tribe, or what I liked to refer to as my Lemonade Crew – and so do most people who have online businesses, even if they’re only a small group at first. So, why not tap into someone else’s list who has a similar tribe or “copy cat target audience” to your own, hence trading off the same advantage with them by collaborating, instead of feeling like you’re in direct competition? 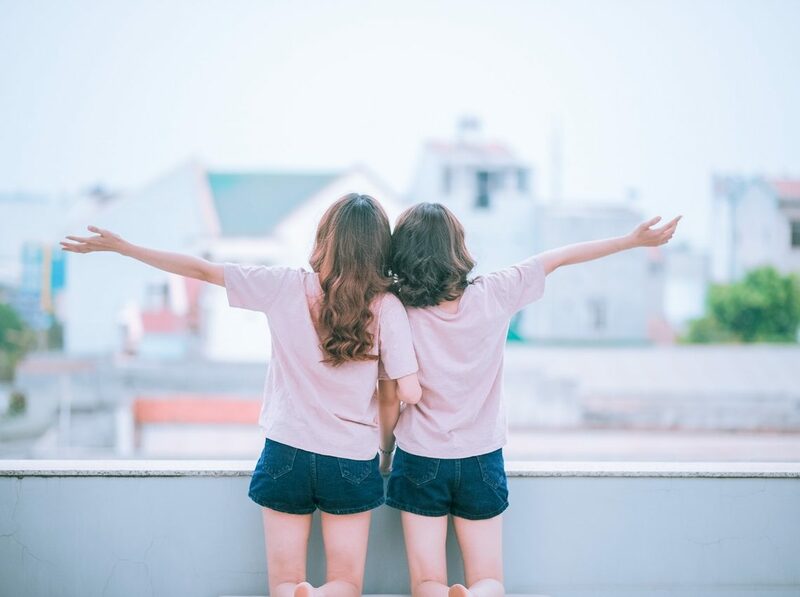 –> For example, why not host a webinar together to promote one or both of your programs with each of you receiving the benefit of tapping into one another’s email lists, as well as growing those lists respectively? I’m sure you’ve heard it said: the money is in the list. This is true, but only if you know how to nurture your subscribers AND market to them. The money is also in the follow-up, but that’s for another post! If you don’t have an email list started yet, do it now. Even if you’re thinking that you’re not going to send out newsletters or other regular email correspondence – you should, and you will. Don’t sweat it if you haven’t done this yet, just get started. Once you’ve decided on which email marketing system to use (there are tons to choose from but I use MailChimp), then you’ll need a hook – also known as a “freemium”, opt-in resource or most commonly a lead magnet. Basically it’s what you’re seducing your target audience with in order to convince them to become a subscriber. Once you’ve got those two things nailed down, and have a handful of people on your list – now you need to nurture those new relationships. Email marketing is like dating: You don’t just jump right into a marriage proposal, you’ve got to woo your beloved first! Show them how much they mean to you. Nurturing starts with a friendly welcome email as soon as they’ve subscribed, and have received their wickedly high-value free opt-in resource from you. Then you move into a juicy automated email series of another 3-4 emails, spaced a few days, but no more than a week apart. You’re going to introduce yourself, share the origins of your passion for doing what you do, and how you (your services, your products, your programs) can be a key player in their health optimization journey — essentially how YOU can solve their most pressing health/wellness/fitness problems. Then you will want to continue offering tons more value and further establishing yourself as an authority in your niche. The series then culminates with an offer into your entry-level service, program or product. Woo hoo — you’ve just navigated the first few steps of your sales funnel! 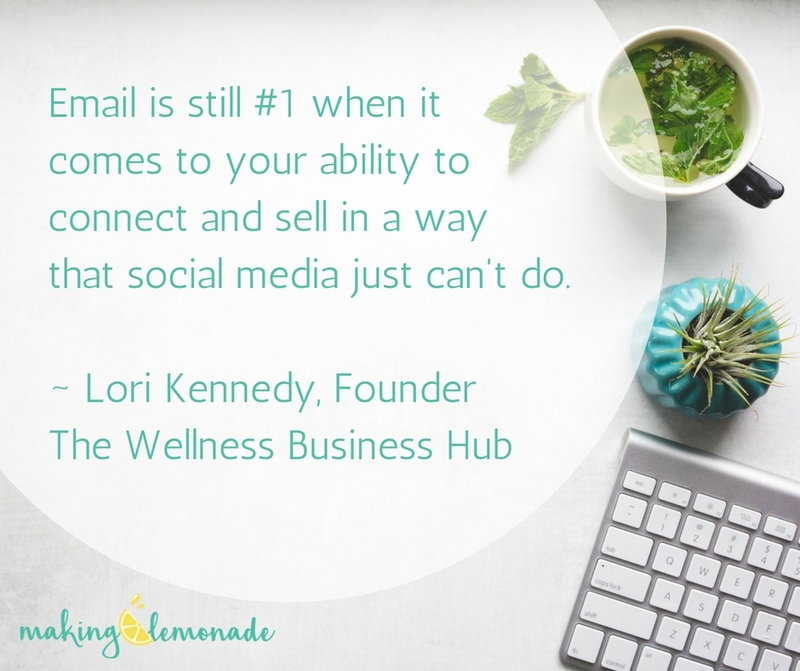 Still not sure why, where or how to get started with an email list and what to say in your newsletter or other email correspondence and marketing to your subscribers? Check out this incredible DONE-FOR-YOU NEWSLETTER & CONTENT PACKAGE designed especially for Health & Wellness Experts in mind! I’ve talked about this before…search engines love fresh, frequently updated content – including video! In fact, SEO Site Checkup reports that “a static website without updates of any kind may be viewed by search engines as a dead entity – with no life and nothing new to offer.” Eek!! It is suggested to publish a weekly SEO-friendly blog post, as well as create new content elsewhere on your website, even if it’s just adding a recipe or updating an old post – such as I’ve done with this one! Just keep feeding those sneaky Google goblins (with consistency!) and all will play to your advantage, namely in getting found online, which puts more of the right people in front of your stuff. Plus, fresh, high quality articles and other valuable web content establishes you as an authority in your niche, allowing you to gain a more loyal, engaged following AND setting you up with a pool of potential clients (and buyers) to draw from. It’s part of building up that “Know, Like, Trust” factor — and until you’ve nailed that, clients (and buyers) will be few and far between. Video is quickly becoming the visual content of choice – both for content creators and consumers of it. Look at GIF’s – they’re everywhere now! By 2019, internet video traffic will account for 80% of all consumer Internet traffic…EIGHTY PERCENT OF ALL TRAFFIC!! One-third of online activity is spent watching video…ONE THIRD!! YouTube has over a billion users, almost one-third of total internet users…ONE THIRD!! More than 500 million hours of videos are watched on YouTube each day…500 MILLION!! 87% of online marketers use video content…87 PERCENT!! And, 51% of marketing professionals worldwide name video as the type of content with the best ROI…THE BEST CONTENT!! Social video generates 1200% more shares than text and images combined…TWELVE HUNDRED PERCENT!! But here’s the most interesting and applicable stat to the discussion we’re having: viewers retain 95% of a message when they watch it in a video compared to 10% when reading it in text…NINETY FIVE PERCENT MORE RETENTION OF YOUR MESSAGE!! ‘Nuff said. Start using video for your business ASAP – and implementing it is easier than you think, and can take on many forms. Livestreaming – this is the simplest, least “techy” way to get your feet wet and get your face out there and continue building your brand. FYI – Instagram Stories and Facebook Live is where I started, and still do regularly, as I love engaging with my Lemonade Crew whenever possible! Create your own YouTube channel – there’s also a livestreaming option now! Webinars & vlogging — video blogging instead of just writing an article; consider the many opportunities for collaboration when doing webinars as well as in exchanges of guest blogging. Create short 15-30 second promo videos to embed on your website or to engage with your audience on social media. I know it feels scary to put yourself out there, especially when it’s easier to hide behind a carefully chosen black & white headshot from like, umm, 10 years ago. But seriously, get out there, show up and own it in your biz by creating some key alliances, pumping out fresh content and implementing more videos – all in the name of connecting with and nurturing your tribe. Your people want to feel like they’re part of something, and that you really get where they’re coming from – you truly understand their problems, and most importantly, you’ve got THE solution they’re looking for! Trust me, these are all going to be game-changing business marketing strategies that will connect you with more of the right people – your ideal “dream clients”, and will, in turn create a more profitable coaching business for you. Show me the money!!! – and stop trading hours for dollars?